You want a pristine lawn without paying the professionals on a weekly basis. With the line of Kubota riding mowers available at Bobby Ford Tractor and Equipment, you can mow like a professional time and again. Don’t buy a mower that’s all hat, no cattle. 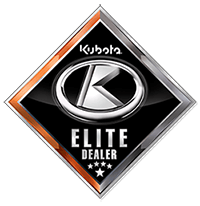 Kubota lawn and garden tractors come equipped with a host of features that meet your needs as a homeowner. Our T series, and GR series Kubota riding mowers will take only minutes to learn to drive, but hours to pull yourself away from. You need a consistent cut, and a Kubota mower that turns lawn mowing from a chore into an easy accomplishment. With our lawn and garden tractors, you get a tight turning radius and all-wheel traction. To top it all off, our quality machine is also comfortable and built for your ease-of-use. With a ductile cast iron front axle, our riding lawn mowers are strong, durable, and can handle the shocks and bumps of even the most extreme mowing jobs with ease. This affords your machine a long service life, and helps reduce your turn radius to only 14″. Maneuver posts, trees, light fixtures, and store your lawn tractor with ease. 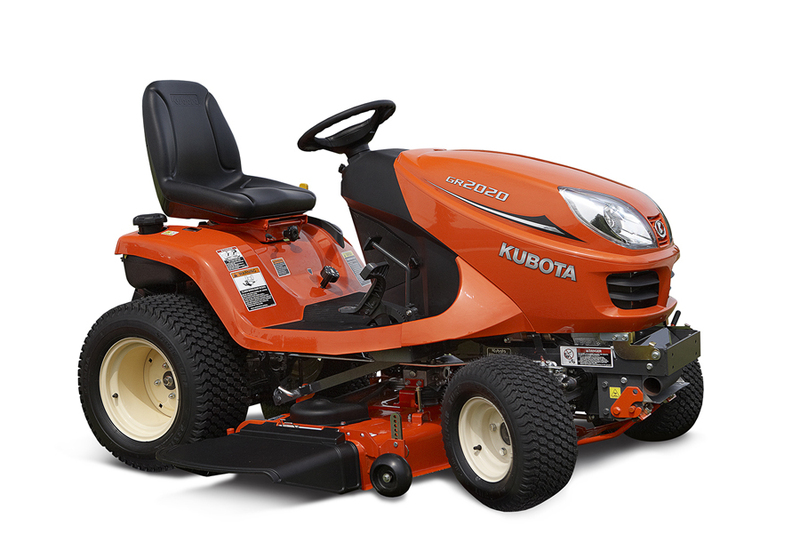 For our Kubota GR models, you can expect 10-gauge steel mower decks that are durable enough to face the bumpiest yards. The five inch deep blade shell helps to facilitate cutting height adjustments made easy with your hydraulic mower deck lift dial. Opt for the additional mulching kit for an even more professional touch. Gone are the days where you have to stop your machine to switch gears and navigate your yard. 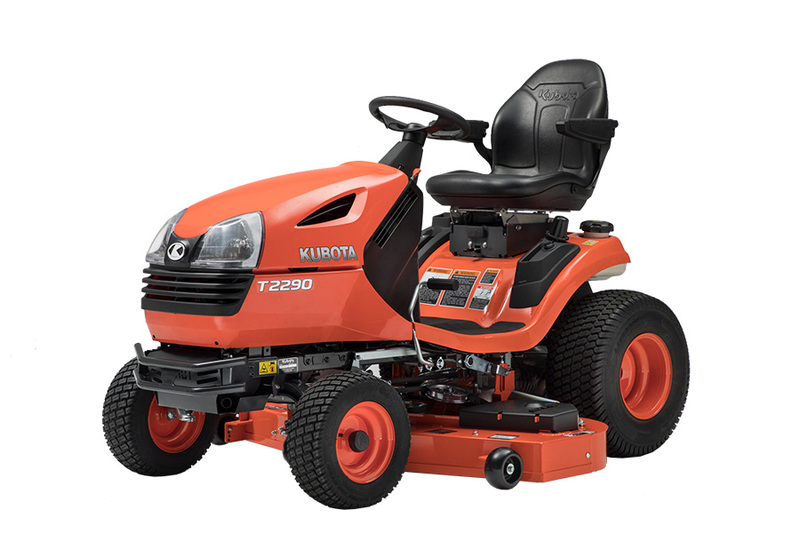 Our Kubota riding lawn mowers come with foot operated hydrostatic transmissions that simplify the control of your direction and speed. Keep your hands free to steer and navigate tight spaces around your property. 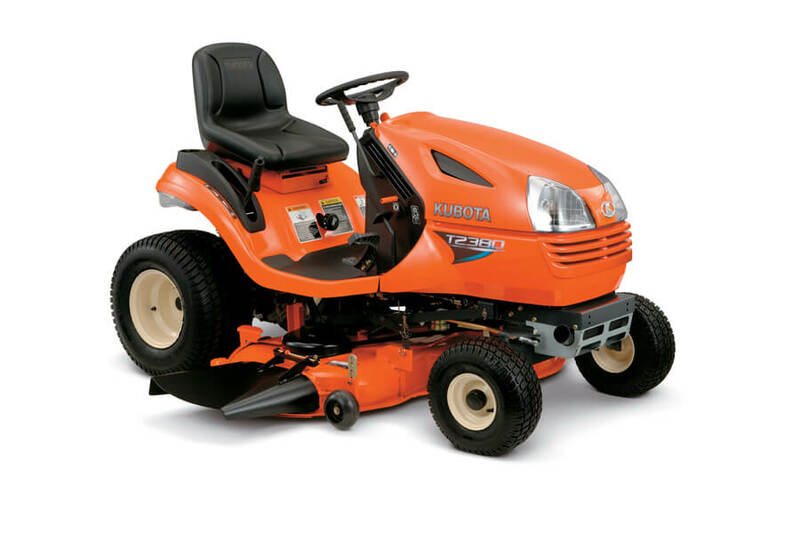 At Bobby Ford Tractor and Equipment, we carry T and GR model Kubota riding mowers. Fill out the form to get a quote on your next mower today!